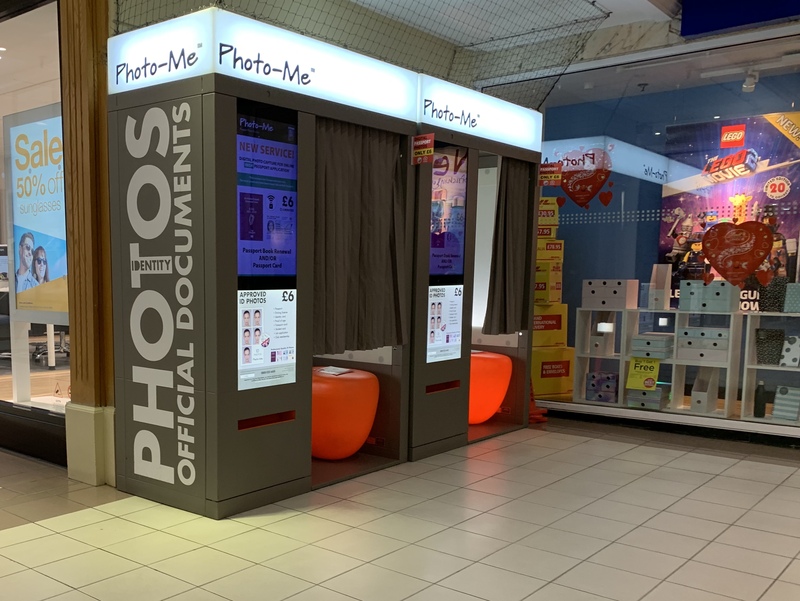 I can’t remember the last time I used a real photo-booth like this one in Loughborough’s Carillon Court Shopping Centre. I used to be always in and out of them as a boy, a youth in the seventies. Usually with friends, pulling faces, a Saturday afternoon in Sheffield. My last work with a photo booth wasn’t a traditional photo booth but a Bus Shelter in New Parks. The New Parks Involuntary Painting Bus Shelter Photo Booth which was part of Involuntary Painting 1 New Parks : New York with artist Millree Hughes and Soft Touch Arts. I think that traditional photo booths are now inextricably linked with identity. Mainly used for identity photographs. Identity seems so much more important in a legal sense than it ever had been before here in the UK. We aren’t required by law to carry identification or in most situations to legally be required to identify ourselves when going about our business. Thus said I seem to be asked for identification by non legal entities, shops, clubs, buildings more and more. Some police personnel don’t seem to understand that it’s not a legal requirement to carry identification and when we tell them we don’t need to show them identification or even tell them our name unless we are being arrested or truly suspected of an actual crime they get a bit uptight.